Be transported through space and time by Thresholds—a fully immersive portal to the past. 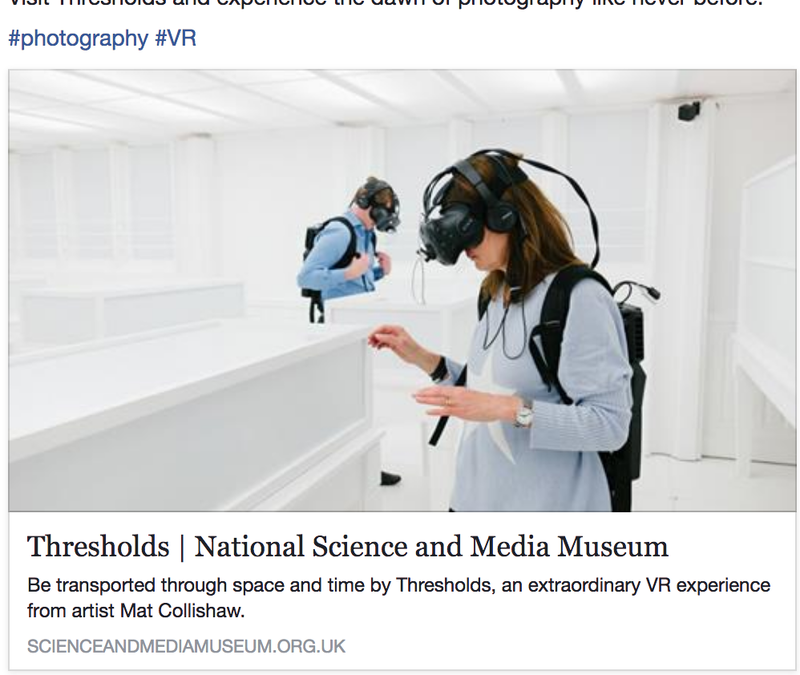 Almost 180 years later, you can visit Talbot’s seminal exhibition for yourself with Thresholds, an extraordinary virtual reality artwork by Mat Collishaw. See, hear and feel the past as you take a multisensory journey back in time. Walk through a digitally reconstructed room and marvel at Talbot’s inventions—you will even feel the heat of a coal fire.